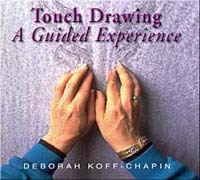 This video begins as Deborah creates several Touch Drawings through the movement of her fingers on the page. In picture and word she recounts her inspiring story of the discovery of Touch Drawing, and its varied therapeutic uses. 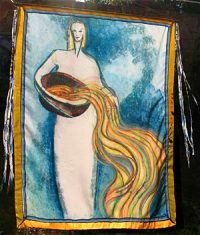 Interweaving themes also include the relationship between creativity, personal health and community. The video closes with a powerful sequence of images and original music. 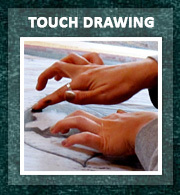 All you need to know to begin Touch Drawing . . .
Deborah created this handbook to look and feel like a Touch Drawing workshop. 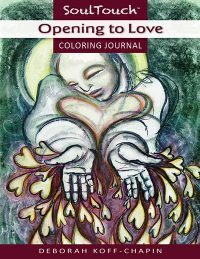 With step-by-step instructions and special attention given to helping you create the right space for your session, this is an essential piece to beginning and developing your relationship with Touch Drawing. 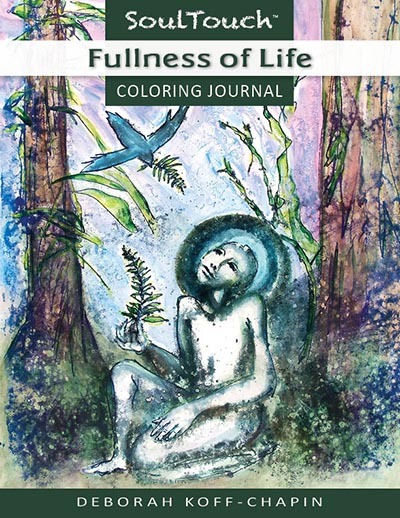 48-page Softcover Book (ISBN 978-0-9645623-2-5) with 75 B&W Illustrations or as a digital download. Feeling inspired and don’t want the hassle of finding your own Touch Drawing materials? We’ve assembled kits of everything you need to get started including basic instructions. For more detailed instructions, see Drawing Out Your Soul. We’ve done our best to approximate the number of hour-long Touch Drawing sessions you or a group could do with the amount of paint and paper provided in each kit. Number of sessions will vary depending on differences in session length and use of paint. Read more on economical use of paint. Paper and paint refills are available below. The drawing board and roller can be used open-endedly when properly cared for. See the Facilitator Workbook for tips on care of materials. Enough paint and paper for approximately 8-10, one-hour Touch Drawing sessions for one individual. Enough paint and paper for approximately two, one-hour Touch Drawing sessions for four people. Price reflects $9 discount from materials purchased separately. Enough paint and paper for approximately 10-12, one-hour Touch Drawing sessions for four people. Price reflects $18 discount from materials purchased separately. 6 super-large (200 ml) tubes of Winsor Newton Artisan water mixable non-toxic oil paint (red, blue, yellow, umber, green, purple) These tubes are BIG! Care of tubes & economical use of paint. Speedball 4” Soft Rubber Printing Brayer (roller) with detachable roller for easy cleaning. *Do not use soap on rubber roller – detach and rinse roller, wash handle with soap. 16” x 22” smooth, firm white board – Add extra boards to your kit to roll different colors on each board. Or customize your group kit with extra boards (and rollers) to draw with more people. These are very similar to the chimes Deborah uses during her workshops, the Pipedream is a beautiful sounding instrument anyone can play. Its resonant tones set a reflective mood. Precision tuned to a universal pentatonic scale, whatever you play sounds good! Ash Wood Base, 8 Silver Tubes, Length: 20″, Width: 11″, H: 3″ Deborah includes covers for beaters not found with this set anywhere else. Introducing Touch Drawing to others? This workbook is an essential resource for people who are interested in introducing Touch Drawing to others. Gleaned from Deborah’s 40+ years with the process, this three-ring binder discusses the spirit of Touch Drawing, qualities for creating a sacred space to support people’s experience, and all-important nitty-gritty details about materials, set-up, workshop space, cleanup, etc. 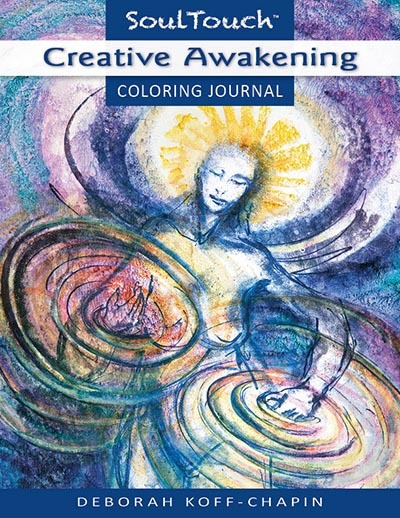 It also includes suggestions on integrating other art forms into the Touch Drawing experience, unique ideas written by many other facilitators, a bibliography on the expressive arts and a link to a private web page with articles and handouts for reprinting. 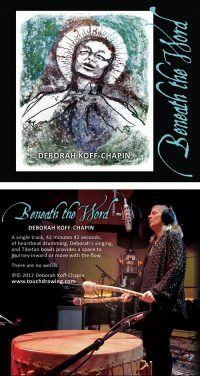 Deborah will also send you updates as new ideas emerge over the years. You can print these out and add them to your Workbook binder. 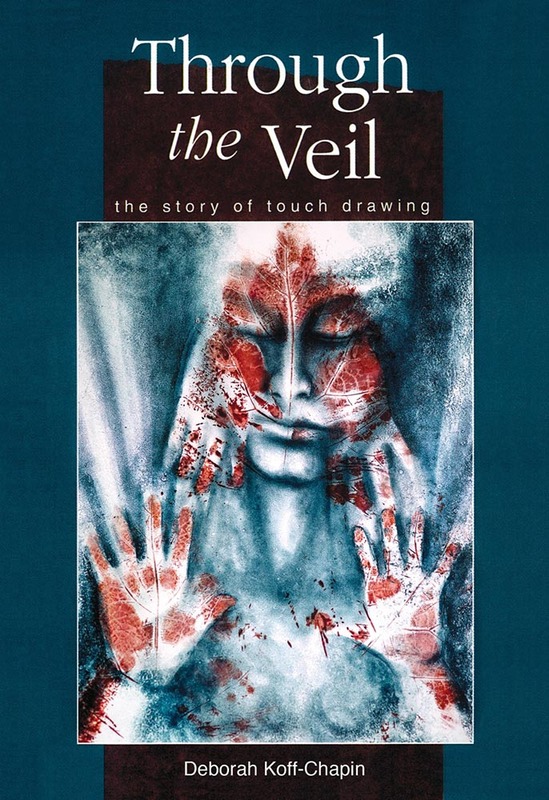 Important Note: If you have not attended a workshop with Deborah, please experience her approach to the process through the DVD (or download) Through the Veil; The Story of Touch Drawing and the audio CD (or download) Touch Drawing; A Guided Experience. Please include these with your order if you do not already own them, and have not attended a workshop. Available as a Three-ring Binder with 150 pages size 8.5″ x 11″ or Digital Download. Use these 60 powerful, evocative full-color images to stimulate personal insight, creativity, deep conversation and more. 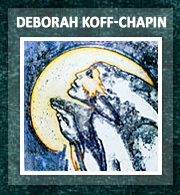 Read more about SoulCards and see all the images in the SoulCards 1 Gallery. Each deck comes with a manual that supports you to find your own meaning in the cards. It offers a wealth of ideas on how to use them. 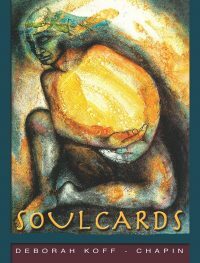 SoulCards are used by therapists, intuitives, coaches, spiritual directors, workshops leaders, creative writing groups, management groups, support circles and people of all ages who want to explore their souls. They are great for learning to trust your own response and inner wisdom. The outer package can be reused as a frame for the cards. Read the endorsements by highly respected authors. 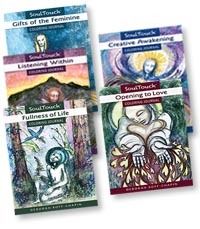 Read stories of the many ways people are using SoulCards. We recently reprinted SoulCards 1. After all these years and many reprints, I decided to new take out three images and replace them with new ones that wanted to go out into the world. 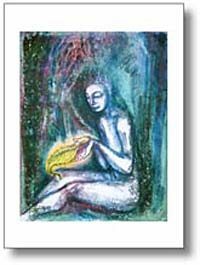 SoulCards 2 is another set of 60 images drawn from depths of the human psyche. As in the bestselling original SoulCards, the images evoke profound insight and inspiration. 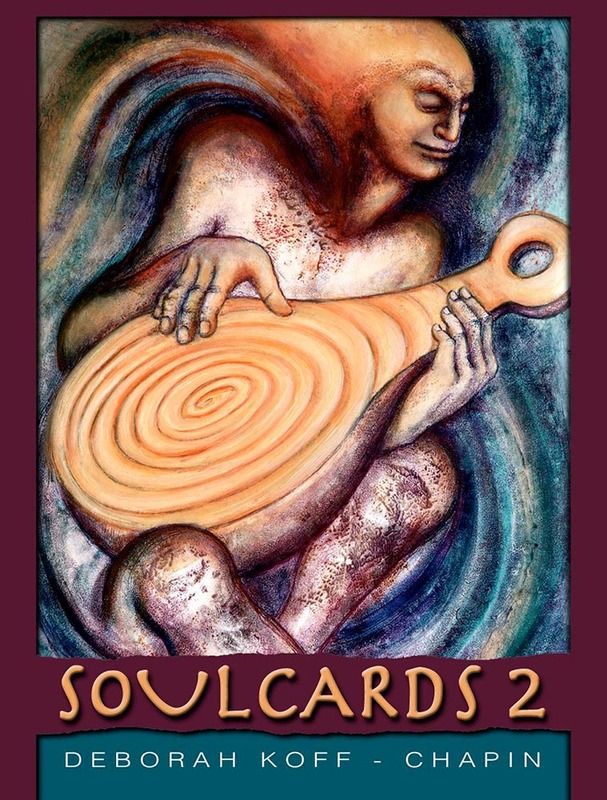 SoulCards 2 can stand fully on it's own but also enriches, compliments and expands the scope of the original deck. The two decks can be used together, offering a broader range of images to work with. 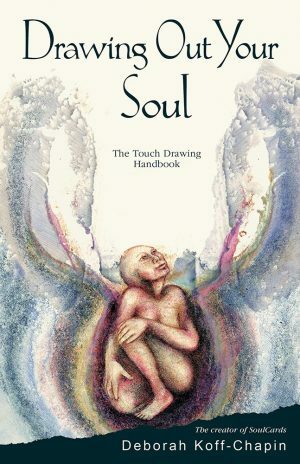 SoulCards 2 comes with a manual that suggests a wealth of ways to use the deck on it's own and in combination with the original deck. 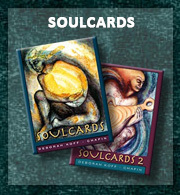 Read about SoulCards and visit our SoulCard 2 Gallery. Read the endorsements by highly respected authors. Read stories of the many ways people are using SoulCards. 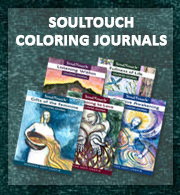 Get all 5 SoulTouch Coloring Journals for only $50! 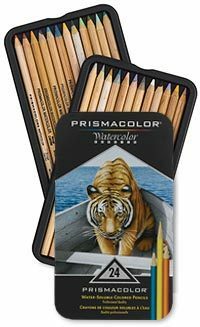 Premier professional quality, water soluble colored pencils that can be used wet or dry and offer superior lightfastness. This package contains twenty-four Watercolor Pencils in a reusable 8 x 4.5 x .75 inch storage tin. Use them like colored pencils – Add water with a brush or even a damp tissue to let the colors flow. A single track, 42 minutes 42 seconds: The heartbeat of the great drum holds a deep resonance, pulsing with the heart of the earth. Deborah’s non-verbal vocals generate a sense of safety, wholeness and love. Use this music to provide a space of resourcing and resonance with your soul, with Gaia, and all life. 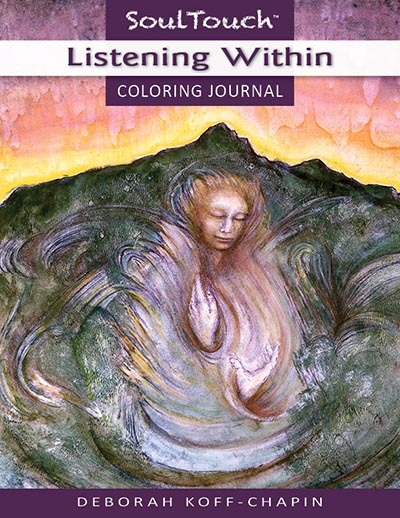 Journey inward or move in the pulsing soundfield. Note: The drum sounds best with speakers or headphones that have reasonable bass. Tiny computer speakers do not convey the power of this drum! 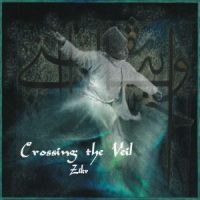 Recorded live on Whidbey Island, these ecstatic group chants in the Sufi tradition include Deborah’s vocal improvisations with violinist-extraordinaire, Talia Marcus. 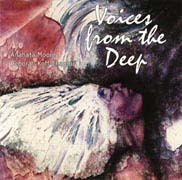 Deborah Koff-Chapin and Anahata Moore This inspired musical collaboration is a rich soundscape that includes powerful vocals and a variety of ancient and contemporary musical instruments. 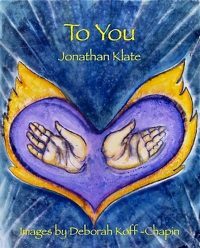 This music provides a sacred atmosphere for meditative movement, inner journeying and renewal. This pocket-sized (4″ x 5″) chapbook is a poetic reflection on universal consciousness. It has 24 full color Touch Drawings, many never before published. 48 page softcover book with 24 full color images. View book here. see gallery here to order. Five Beautiful 4″x 5″ blank notecards with envelopes. SoulCard images 18, 19, 36, 108 plus the image you see to the left. At the Pool of Wonder is a work of creative synchronicity betweeen the visionary dreams of Marcia Lauck and the mystical Touch Drawings of Deborah Koff-Chapin. 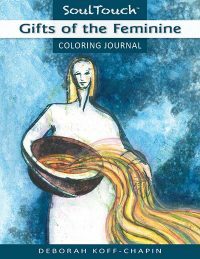 Primordial images emerge from the deepest reaches of feminine consciousness, yielding potent archetypes from the heart of the human drama. For an urgent issue about your order, contact our fulfillment service at 800-842-8338 or fulfillment@portcity.com. Online ordering is available through our shopping cart & PayPal secure payment service with credit cards, electronic checks or PayPal account. Wholesale information below. We ship most orders within 24 hours. (Except signed custom prints which can take as long as three weeks) If you need same-day shipping or to make changes in your order after submitting, contact our warehouse directly at 800-842–8338 or fulfillment@portcity.com. On rare occasion there could be a delay due to being out of stock, or need for more customer information. We will contact you accordingly. Customers have the right to cancel an order and receive a refund based on dissatisfaction with these delays. US Postal Service is recommended to Canada. Contact information provided by a customer is used only for its intended purpose which involves purchasing and shipping our products or registering for workshops. It will not be shared with any other entity whether commercial, nonprofit or private. Customer is given the choice to join our mailing list or not, via a check mark on the order form. If the customer is dissatisfied for any reason with any of our products we offer a complete refund on all materials returned to us in resalable condition within 30 days, minus our cost of shipping & handling. Any damage, as determined by the Center for Touch Drawing, will result in a corresponding reduction in the refund. International orders might be subject to customs and/or brokerage fees. The Center for Touch Drawing has no way to calculate and notify you of these fees. It is also difficult for us to track orders after they have departed the USA. If your order is delayed it is most likely in your country and going through a receiving process that might entail adding customs costs. Use the tracking number from your order to contact your local customs agency. $300 deposit will be charged at time of registration. If you prefer to pay in full right away, you can pay the balance through the link provided with your the invoice for the balance. Remaining payment is due by June 16. We will resend your invoice with the balance due two weeks prior to this date. Your deposit, minus a $75 administration fee, is refundable through June 16. If you cancel after June 30, your fees are not refundable. We would do our best to find a scholarship recipient to take your place. In the case of a extreme emergency, this policy is negotiable. We offer wholesale discount prices for resale through stores and other professional settings. 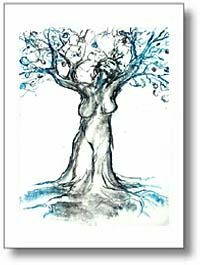 If you order SoulCards 1&2 directly from us, we will give you a free open sample of each deck with your first order of 3 or more of each. Please request FREE OPEN SAMPLE when you place your order. Email center@touchdrawing.com or call 360-221-5745 for further information or to place order. The following items are available through the above wholesale distributors. Other items available only through The Center for Touch Drawing. 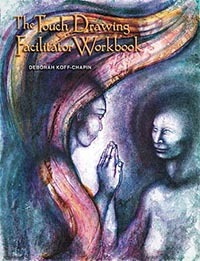 The Facilitator Workbook and Touch Drawing materials are not available for resale.